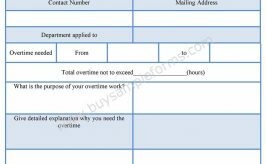 Cremation authorization form is needed to record information of any cremation in an organized way to keep every detail for the future use. 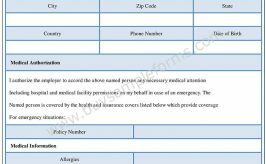 The authorization form releases the data about an individual’s deceased to the relatives of that person. It is a legal way to record some important information about an individual’s disposition. The form authorizes a cremation center or funeral home to note down the detail of the deceased in a legal way. 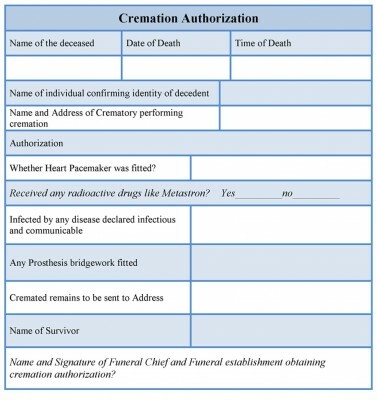 Any cremation center releases the cremation release form containing details of a funeral. An authority who looks after this matter gives the cremation consent to the funeral home to conduct its work in a legal way. 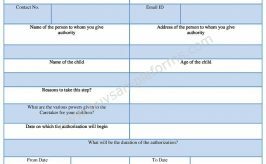 The sample form consists of the time and date of an individual’s funeral, the name of the deceased person and the identity details and the medical condition of the deceased person. The form should be signed by the concerned authority. 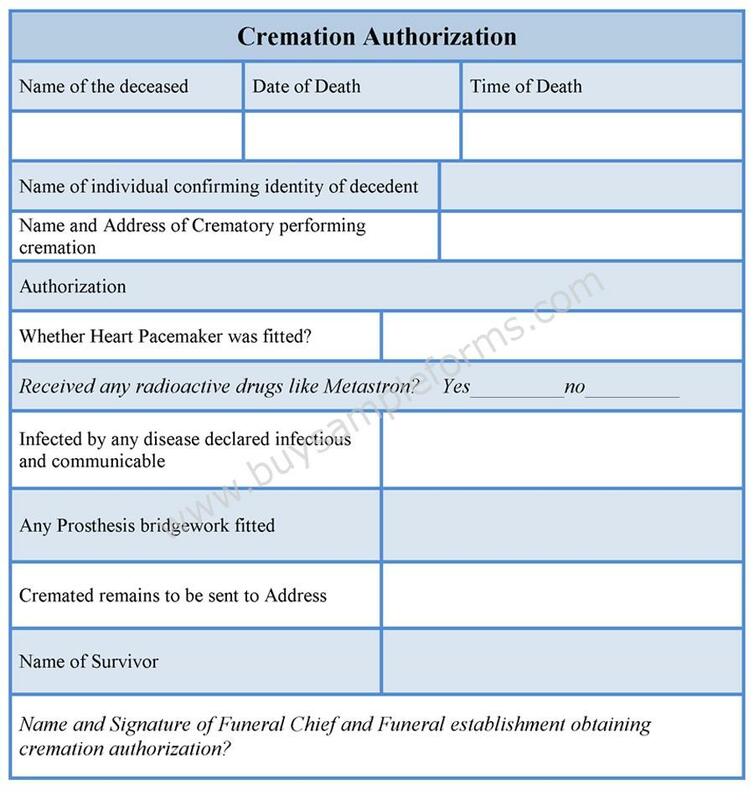 The template of a cremation authorization form is available in both the PDF and word document and as per your use, you can customize it.